Tropic Winds Resort is one of Panama City Beach’s newest gulf front resorts! 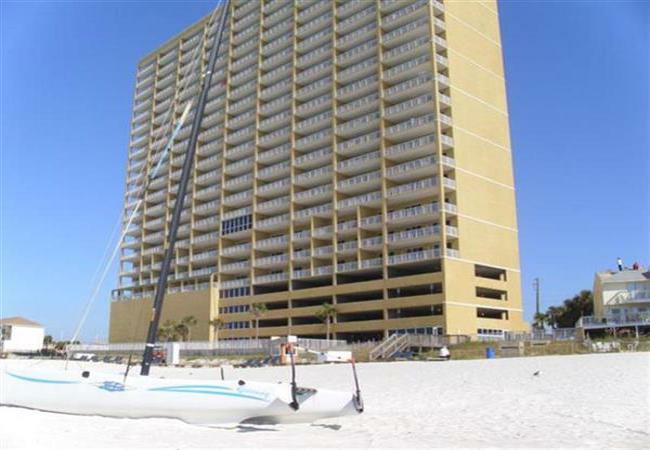 This great beachfront condominium residence is located that is just two miles from the exciting and new Pier Park. Pier Park is the area’s 900,000 sq. ft. premier dining, shopping and entertainment lifestyle center. The 23 floors of this luxury resort contain 164 condominiums with all the amenities you would expect. Enjoy the indoor/outdoor pool, steam room, hot tub, sauna and exercise room or relax on the expansive sugar white sand beach. Private parking is available both on the first four floors of the resort and in an additional parking facility across the street. The ‘West End’ location of Tropic Winds provides guests with ‘the best of both worlds’, a peaceful resort experience in a quite area of Panama City Beach with many of the area’s best attractions just a few miles away.